Elevate your off duty basics with the Rundholz jersey tank top. 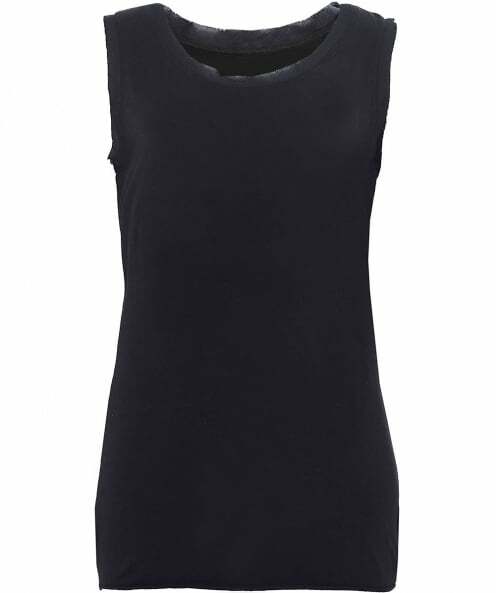 Perfect for layering, this sleeveless top offers a stretch fit and features a scooped neckline with a raw finish and a rolled hem for an edgy appeal. Fitted for a feminine appeal this top will style effortlessly under oversized knitwear, or with linen trousers for a weekend vibe.